Like adding flowers on the sides of your hair! A half-ponytail, like the OG ponytail, looks good on everyone. If you're planning to wear the hairstyle to a special event or occasion, here are a few ways you can change it up! This will give your locks extra volume and make your half-pony look polished! If you want to be more *extra*, add fun and colorful highlights your look! Pefect for date night or a garden wedding! Style your hair into loose waves for the ultimate ~*undone*~ hairstyle! All you'll need is some mousse, hair gel, and a choker. 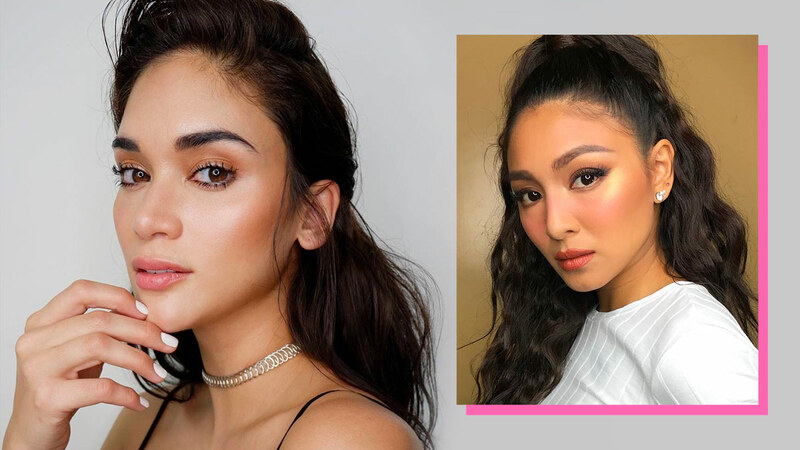 This Nadine Lustre-approved look will give your features an instant lift! The sparklier the headband, the better! Don't forget to wear a rose or red lipstick to complete the look!